Teska, a Vulcan child raised on Earth, is destined to play a crucial role in the reunification of the Vulcan and Romulan peoples. 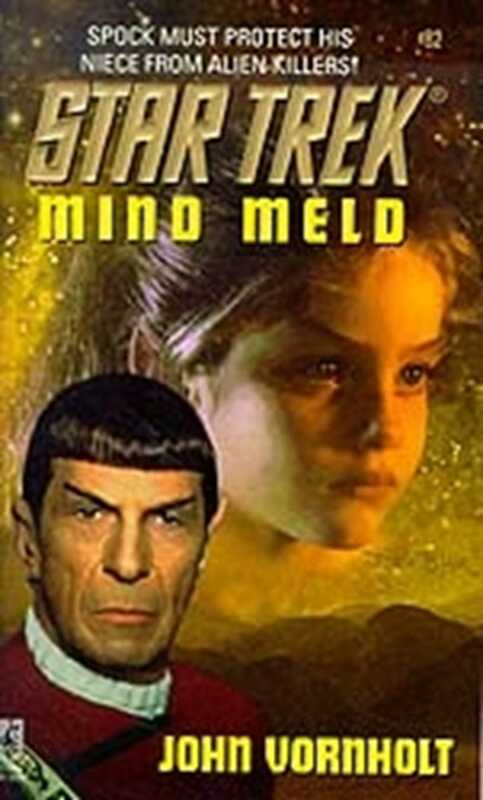 While Spock escorts his young niece back to Vulcan for her betrothal ceremony, he strives to help her understand both her Vulcan heritage and her growing telepathic abilities. But when an unplanned mind meld reveals the true identity of a deadly assassin to Teska, she and Spock find themselves the target of a Rigelian criminal network. With the EnterpriseTM light-years away, Spock and his niece must go on the run, pursued by a conspiracy determined to end teska's future before it has even begun. John Vornholt is the author of is the author of two of the New York Times bestselling Star Trek: The Next Generation Dominion War books, the successful two-book Star Trek: The Next Generation series Gemworld, Genesis Wave Book One, and several other Star Trek novels, including Quarantine, Antimatter, Sanctuary, Rogue Saucer and Mind Meld.